The Indian pugilist brought laurels to the country by winning the gold medal in his weight category the Bulgarian capital of Sofia -- a first for an Indian. 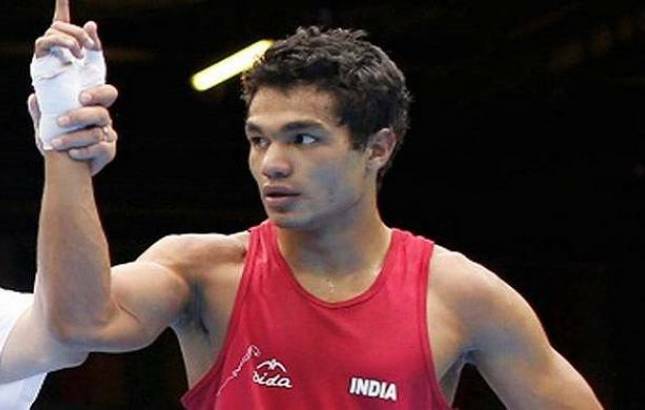 Indian boxer Vikas Krishan stole all the limelight at the Strandja Memorial Tournament by being declared as the best boxer of the tournament. The 26-year-old defeated world championships bronze-medallist Troy Isley of the USA in the middle-weight (75kg) finals to claim his first medal since the Asian Championships bronze last year in April-May. It was a massive turnaround for Vikas, who had not just been laid low by a hand injury but had also found himself in the disciplinary line of fire after giving a walkover in his Asian Championships semifinal last year. "It is a big comeback for me and I feel I am a much stronger boxer now. Maintaining my weight at an optimum level, which used to be a problem earlier, is no longer an issue for me. I have also improved my technique and endurance," Vikas told PTI. "The hand injury was also bothering me for a quite a while but I have got a grip on that too. So things are looking bright. I used to sometimes deflate after the first round but that's no longer the case, I am in a good space," added the boxer, who is currently training with former teammate Jay Patil. Along with Vikas, Amit Panghal (49kg) claimed a gold medal, rounding off India's best ever performance at the tournament. The country ended with a whopping 11 medals -- five from men and six from women boxers. In all, the contingent clinched two gold, three silver and six bronze medals. "I beat some good opponents in the run-up to the final and that is a massive boost for my confidence," said Vikas. The former Asian Games gold medal winner, who is also a world championships bronze-medallist, said he also cleared some mental cobwebs to get back in form. "I read a quote by a chess player a few days back in which he said 'I started winning after I realised that even my opponent is as scared of losing as I am'. I liked it, in fact it helped me in understanding that it's no big deal to be anxious before a fight," he said. "Now if my rival is as anxious as I am, I can certainly capitalise on that, which I did in this tournament," he added. Finishing with silver medals were M C Mary Kom (48kg), who got a raw deal in the final, Seema Poonia (+81kg) and Gaurav Solanki (52kg). The bronze medal winners among the women were Meena Kumari Devi (54kg), L Sarita Devi (60kg), Saweety Boora (75kg) and Bhagyabati Kachari (81kg).Among the men, last edition's silver-medallist Mohammed Hussamuddin (56kg), and former Asian Games bronze-medallist Satish Kumar (+91kg) ended in third position.